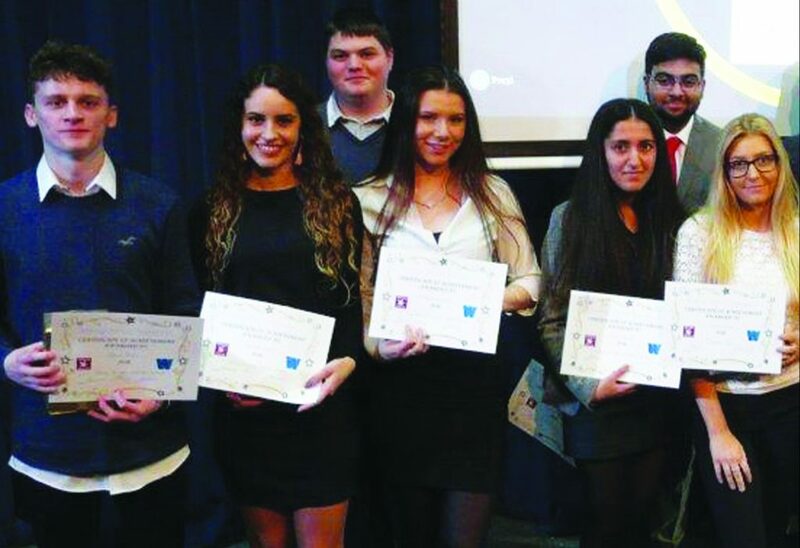 BUSINESS Studies students at Woking College have once again hosted the “Mini Oscars of the Business Department” to celebrate success. Now in its 6th Year, the event was designed, staged and orchestrated by the students to mark achievements in their BTEC studies. Students raised funds for Woking Hospice by selling tickets to the event. Awards were given to both students and teachers with the serious academic awards sitting alongside more tongue-in-cheek accolades. Most Hardworking Students went to Gemma Seal and Aisha Hussain, Most Creative Student to Jessica Trowbridge, and Megan Dearsley was voted Student Most Likely to Appear on TV Show The Apprentice. Business teacher Selina Mahmood praised the students on their commitment to organising the event and added the project would be an asset to their applications for university or the workplace.